On IOS devices there is a special Settings app that your Delphi XE5 Firemonkey application can take advantage of and provide settings for. Additionally, there is a component that can help you with doing that in the DPF for IOS component suite. The TDPFUserDefaults component will let you read the settings that are editable by the Settings app. You will also need to create a Settings.bundle file and places the settings in it that you need. Apple explains the format of the Settings.bundle over on their website. Basically users can edit settings for your app from within the Settings app and you can read those same settings from within your app. Babak Yaghoobi has a forum post over on Embarcadero’s Delphi forum which explains how to create the file and where to place it. There is a demo that comes with the free DPF for IOS suite showing the TDPFUserDefaults functionality. 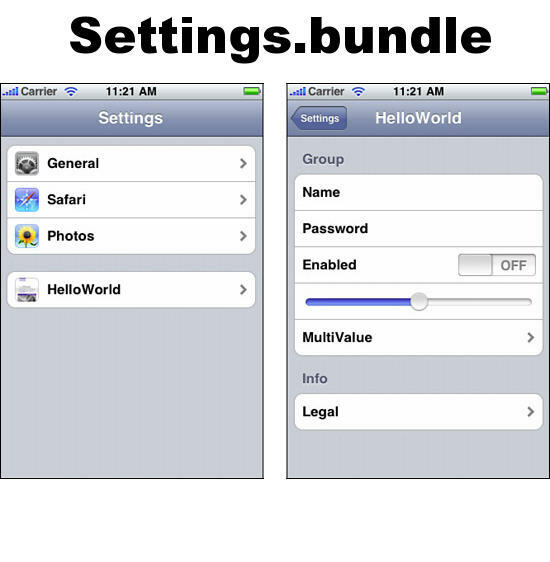 Check out the demo of using a Settings.bundle and TDPFUserDefaults.